The years have taken their toll on our structures and our building envelope has failed. The roof also needs replacing, as do the windows. 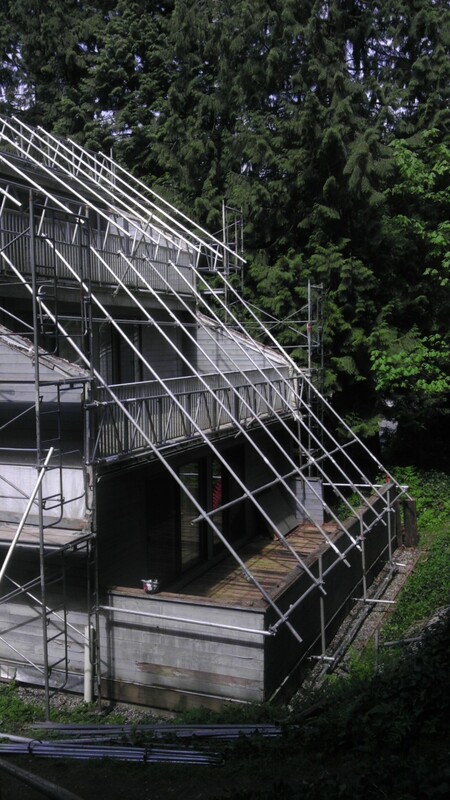 For over ten years, we have been in desperate need of building envelope remediation. 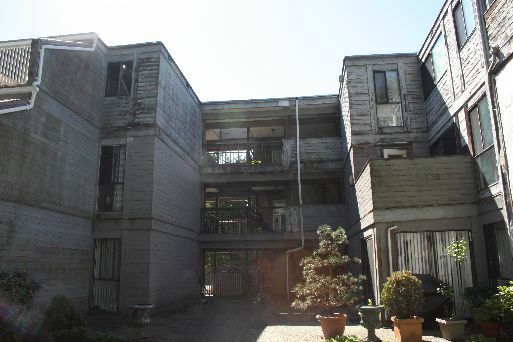 During that time, the Norman Bethune Housing Co-Op has been trying to find a way to repair the buildings which make up our unique Co-op. Building Envelope Remediation construction begins on April 12, 2016! As people around the world celebrate the Spring equinox (the official beginning of Spring), and Easter, with its theme of renewal, rebirth, and regeneration, we too can celebrate the resurrection / rebirth of our dear co-op! This is a marvelous moment in the history of Norman Bethune! of the construction phase of our Building Envelope Remediation. Our project was scheduled to take 35 weeks, but due to more work required than expected, along with finishing the work on the deficiencies, it has taken us 82 weeks to complete this building envelope remediation project. A big thank you to the membership is required for their steadfastness during the last year and a half — we couldn't have done it without their co-operation! Thank you very much one and all! Also, we would be remiss if we didn't mention our consultants, the team at Terra Asset Managment (TAM) who have always been there for us when we needed them and who went the extra distance on all the aspects of this project! So now, at last, we can formally announce that the project is finished! Our buildings have risen from the ashes like a phoenix and our finished product is beautiful! We conclude this page with some before and after photos of the finished buildings. The project is really finished except for some deficiencies, so we are still inching along to conclusion. In the meantime, Heatherbrae has removed their tool room from the garage and our new Co-Op sign was installed by our members! We will continue with weekly updates until we sign off on the project and then we will conclude with photos of the finished buildings. NO PHOTOS FOR THESE WEEKS. The project is really finished except for some deficiencies, so we are still inching along to conclusion. We will continue with weekly updates until we sign off on the project and then we will conclude with photos of the finished buildings. NO PHOTOS FOR THESE WEEKS. The project is really finished except for some small details and the deficiencies, so we are still inching along to conclusion. We will continue with weekly updates until we sign off on the project and then we will conclude with photos of the finished buildings. NO PHOTOS THIS WEEK. The project inches along to conclusion. Siding is finished, with some flashing left to do. Small, finishing touches are being worked on by the sub-trades and the deficiencies are being worked on by Heatherbrae. Siding is almost finished. Deficiencies are being worked on by Heatherbrae. Last decks are almost finished and two stairway lights are installed! Siding work inches along toward the end of our project. A list of deficiencies is compiled by both Heatherbrae and JRS and work begins on the deficiencies. We are still inching toward the end of our project. The last of the railings are finally installed. Siding work slowly continues; the painters work hard as the weather proves challenging for them (lots of rain!). All company signs have been removed! We are inching toward the end of our project. Siding work continues, as well as painting (in particular, our landings). Final wood construction on the last deck is completed. 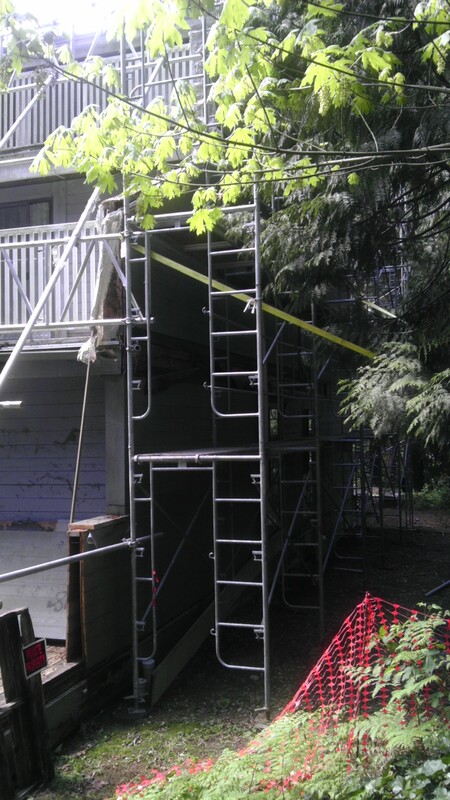 More railings are installed; siding work continues; as well as painting, gutters and downpipes. Garage roof work is finished! More railings are installed! Siding work continues, as well as painting, gutters and downpipes. Garage roof work begins! The project is getting close to completion! 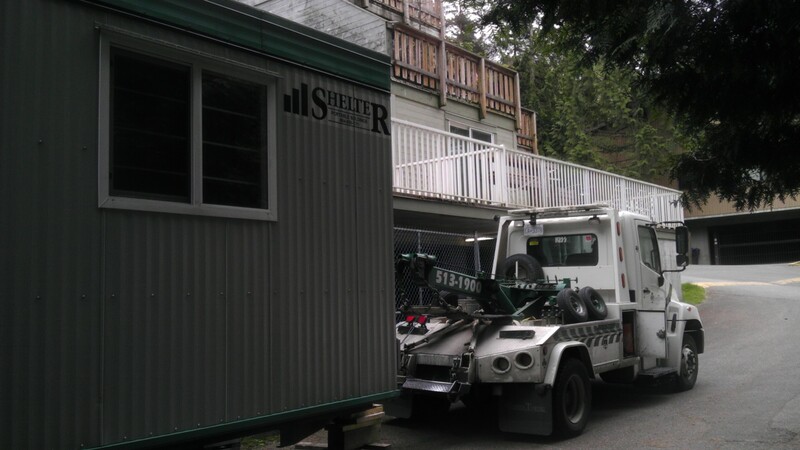 Heatherbrae starts to wind down the project and has now removed its office! Scaffolding is trucked away! The deck work is complete. Railings are almost all installed. A new light is installed on the stairway to the road. The clean up of the site continues as well as the painting and siding work. The end is near! Scaffolding is removed from all our buildings! The deck work continues, with lattice work under decks on BLOCK A and B. The clean up of the site continues as well as some painting and siding work. Stucco work is repaired! More scaffolding is removed from BLOCK C and B. The deck work continues, with lattice work under decks on BLOCK A and B. The clean up of the site continues as well as some painting and siding work. Canopy is removed from BLOCK C. The deck work continues; and the clean up of the site is in progress. Scaffolding is still being removed from BLOCK B	and C. The siding work continues on BLOCK B and C; deck work is also continuing; railings are being stalled on the landings of BLOCK C; painting continues (when weather permits! ); and the clean up of the site is in progress. Scaffolding is coming down from all buildings! The siding work continues on BLOCK B and C; deck work is in progress. The roof on BLOCK B is finished! More scaffolding is removed from BLOCK A and B and is being transported away from the site; the new look of the building is revealled even more! The siding work continues on BLOCK B and C; downpipes are being installed. Lower decks on BLOCK A and B are being finished. The roof on BLOCK B is still being worked on. Scaffolding is being removed from BLOCK A and B! The siding work continues on BLOCK B and C. The roof on BLOCK B is still being worked on. More of the exterior of BLOCK B is completed and open to see. Finishing work on BLOCK C landings begins and some siding is being installed! The roof on BLOCK B is still being worked on. Work continues on both BLOCK B and BLOCK C. Some of BLOCK B's finished outside work is revealed. Some site clean up has begun. The roof on BLOCK B is still being worked on. Some shrink wrap has been removed on BLOCK B. Inside finishings continue in both BLOCK B and BLOCK C. BLOCK B siding is still being installed. BLOCK C deck work progresses and windows / sliding doors are installed! The roof on BLOCK B is still being worked on. The snow has been washed away by some heavy rain and it is not so cold anymore! Scaffnet has been removed on BLOCK A. Inside finishings continue in both BLOCK B and BLOCK C. BLOCK B siding is still being installed. The roof on BLOCK B is still being worked on. BLOCK C deck work progresses. There are less stored materials in the garage now! Cold temperatures and lots of snow has hit the project again! This delayed some outside work and the taking of photos. BLOCK B siding work is almost complete and BLOCK C has Tyvek applied. BLOCK C deck work is nearing completion. Inside finishings are ongoing for both BLOCK B and BLOCK C. The roof on BLOCK B is still being worked on. Heatherbrae's work is nearly at its end, with most of the work being performed by the sub-trades. Deficiency work continues in BLOCK A and BLOCK B. Siding work on BLOCK B advances. Lights on the landings are installed on BLOCK A / B walkways! BLOCK B roof work focuses on south side, with north side entering the final stages of repair. Deficiencies are being identified and fixed in BLOCK A and BLOCK B. Siding work on BLOCK B continues along with deck replacement. Skylight is replaced on BLOCK A! Repairs on BLOCK C are in progress. Final black roof trim on BLOCK A is being attached. Inside finishing work continues on BLOCK A and BLOCK B; siding work on BLOCK B progresses. BLOCK B recessed decks moving towards completion. BLOCK A / B walkway / landings have inner railings installed. BLOCK A roof has its final layer applied in places. Inside finishing work on BLOCK A and BLOCK B continues with more work on the outside and inside of BLOCK B completed. BLOCK C outside work progresses and some windows are replaced. Cold weather and snow hit the project AGAIN! Not many photos for this period as most of the activity was confined to inside finishing work and roof work on BLOCK C and BLOCK A. BLOCK A had scaffolding partially removed revealing installed gutters and down pipes and our new look. Cold weather and snow hit the project and delayed any photos being taken, but the work went on! BLOCK A finishing work continues and also begins in BLOCK B as well. BLOCK C repair work continues at an advanced pace. BLOCK A finishing work continues along with lower deck work. Walkways between BLOCKS A and B are having pavers installed, along with flashing for supporting posts. BLOCK B is progressing well, with windows being installed, decks repaired, and torch-on applied against the building along the garage roof! The roof on BLOCK C has been removed and repairs are beginning; also, the overhang is being constructed and some sheathing (plywood) is being installed. BLOCK A window interior trim installation underway and outside finishes continuing. BLOCK B repairs continue; BLOCK A and B walkways pavers being installed. BLOCK C wall plywood and roof removed! Walkway between BLOCK C and BLOCK B has plywood installed in places. BLOCK C overall has little rot repair work to be done! Our new mailboxes are installed on both sides of the Co-op! BLOCK A scaffnet removed, siding installation continues, and the lower decks are progressing. 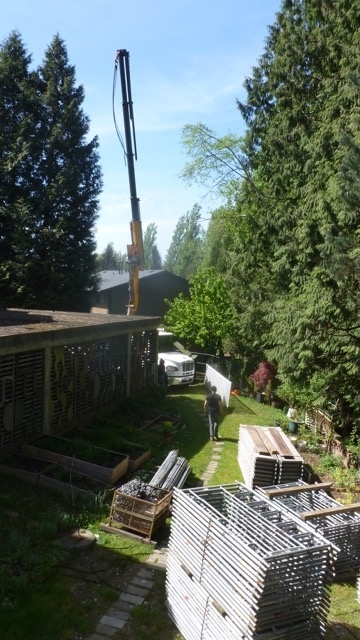 BLOCK B roof repair continues, decks progressing well, window installation goes on; BLOCK A and B walkways have pavers moved to landings for installation. BLOCK C shrink wrapping completed and the siding is removed! Work on BLOCK A continues: framing of lower decks progresses and interior finishings begin with trim around new windows. BLOCK B repairs continue; BLOCK A and B walkways have support beams installed. BLOCK C shrink wrapping begins! BLOCK A lower decks are being built, upper decks receive their railings, entry doors installed, and some exterior painting around the top level is completed! 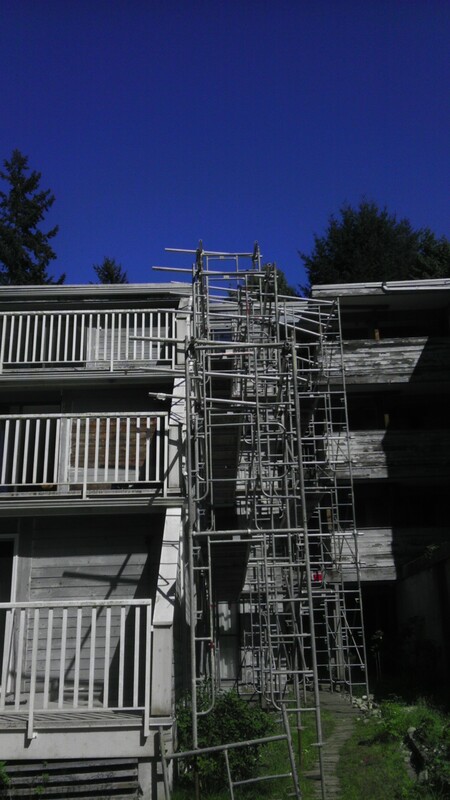 BLOCK B repairs continue, BLOCK A and B top landing has plywood laid and some outside walls are framed and sheathed. BLOCK C scaffolding is finished! BLOCK A lower deck framing started, roof vents installed, and top accent painted. BLOCK B repairs continue, BLOCK A and B first landing has last layer of Torch-on applied, second landing has first layer, and BLOCK B stairway lower stairs are restored! BLOCK C scaffolding for the roof begins. 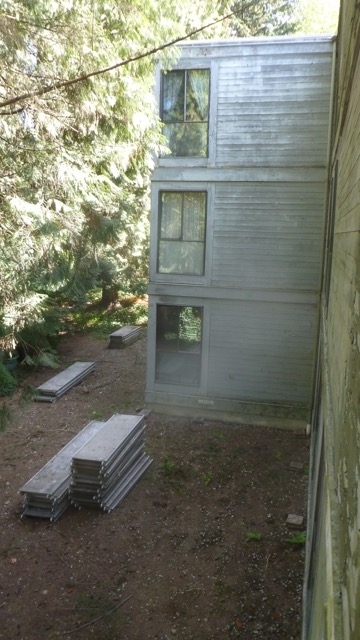 BLOCK A work continues – more siding is installed. BLOCK B repairs continue, BLOCK A and B landing has first layer of Torch-on applied, and some BLOCK B doors are replaced! 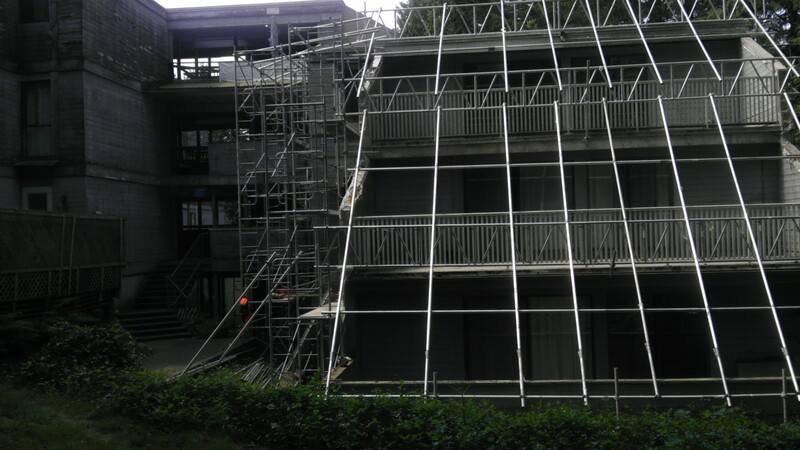 Preparation for BLOCK C work begins – scaffolding is being erected! BLOCK A work continues – roof scaffolding is removed! BLOCK B window replacement begins, work between the BLOCK A and B landing progresses, and repair of BLOCK B roof starts. BLOCK A work continues – Torch-on is being applied to the roof (getting closer to being finished!). BLOCK B repair proceeds, work between the BLOCK A and B landing continues, and repair of BLOCK B recessed decks on the top level progresses. BLOCK A siding, roof and deck work continues. 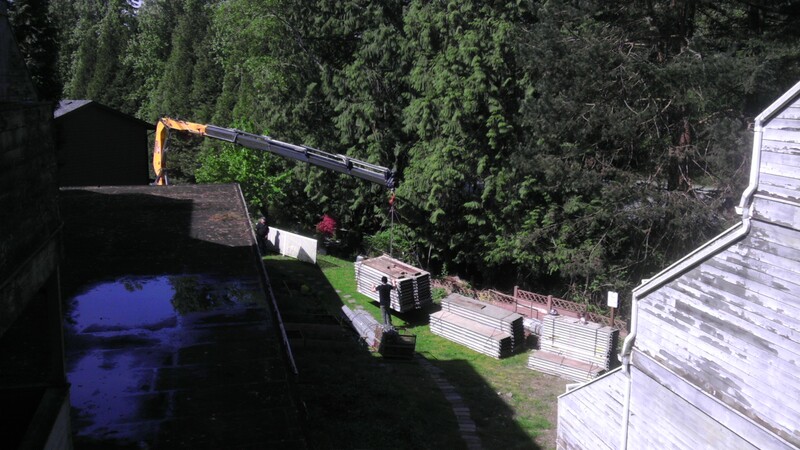 BLOCK B rot repair continues (a small part of the roof is removed for repair work to begin) and work between the BLOCK A and B landing begins – some beams are replaced. Repair of BLOCK B recessed decks on the top level begins – rooms below are vacated and ceilings removed! BLOCK A roof sloping completed, roof plywood is being applied, and deck pavers are installed. BLOCK B rot repair continues, plywood is installed up to the third level in some places and preparation is made for work to begin on the landing between BLOCK A and B. BLOCK A roof sloping almost completed (drywall has been installed on the ceilings under the roof) and some panels installed around patio doors. BLOCK B rot repair continues, some plywood around the first level is installed, and kitchen fan installation begins. BLOCK A roof repairs continue and kitchen fans (and vents) begin to be installed. BLOCK B rot repair continues. BLOCK A roof repairs continue, patio doors installed, and the decks have a coating of torch on applied. BLOCK B rot repair continues. BLOCK A repairs continue and rot repair on BLOCK B begins. BLOCK A landing repairs continue and the roof repairs intensify! BLOCK A landing repairs intensify, more materials arrive, and some decks get side walls and one gets the bottom layer of its new surface! BLOCK A repairs continue on the decks. 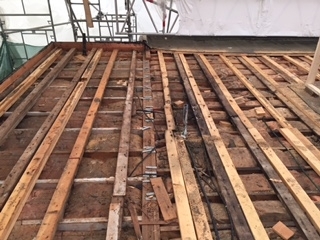 BLOCK B garage roof is stripped and prepared for repair work. BLOCK A repairs continue on the decks and the roof and some siding is installed! 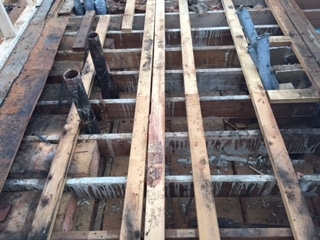 BLOCK B upper decks stripped and prepared for repair work. BLOCK A has more windows replaced, walls are beginning to be sealed up, while repairs continue elsewhere. 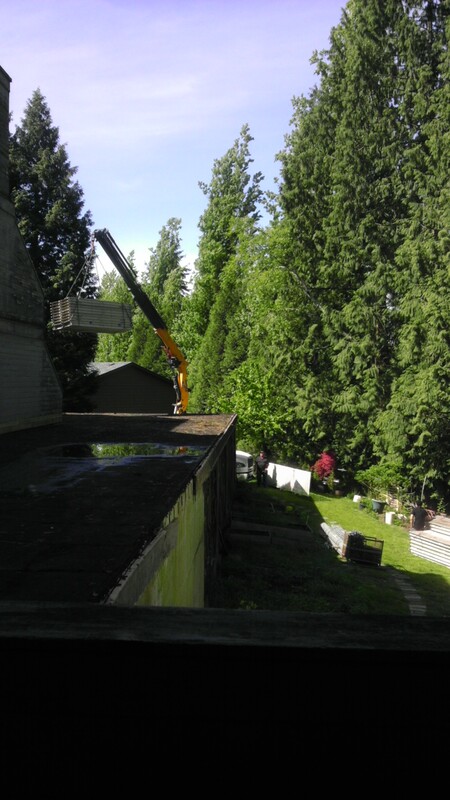 BLOCK B roof decks removed and more materials are delivered. BLOCK A has first floor windows replaced while roof repairs and deck work continues. 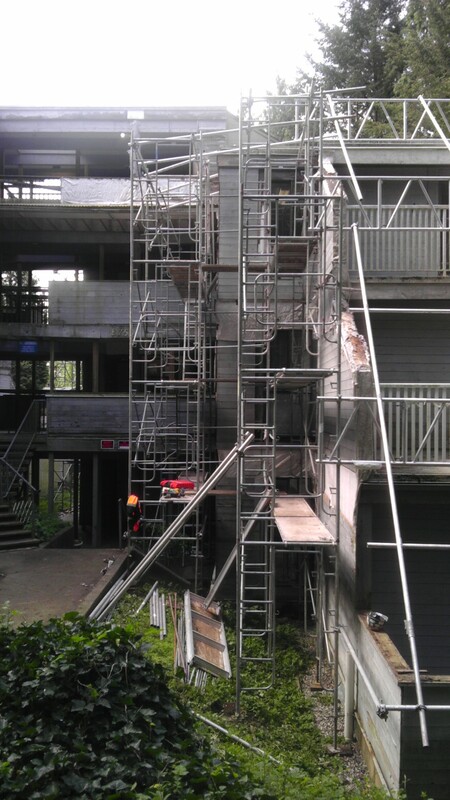 BLOCK B scaffolding is finished and some decks have been removed. BLOCK A roof repairs begin while work continues on the decks. 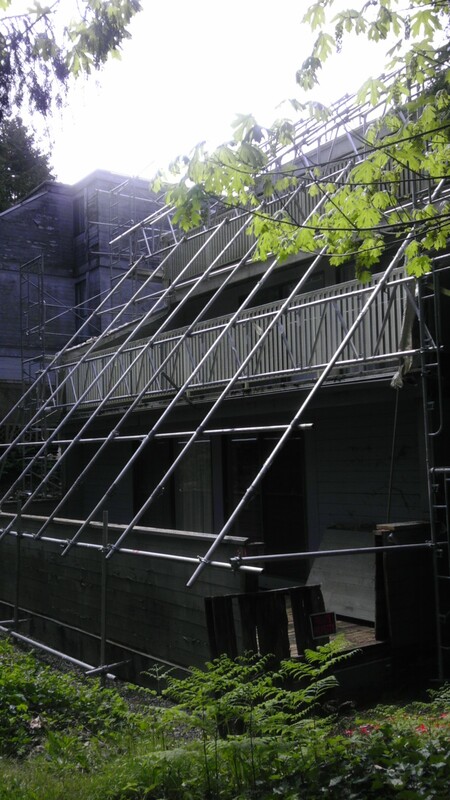 BLOCK B scaffolding continues and siding and plywood is removed! BLOCK A repairs continue on the decks. BLOCK B scaffolding continues and windows arrive for BLOCK A! BLOCK A repairs continue. BLOCK B scaffolding continues and siding is removed on lower levels and work begins on the walkways between BLOCKs A and B! BLOCK A repairs continue with damage around windows being fixed and some units have new plywood installed on their walls! 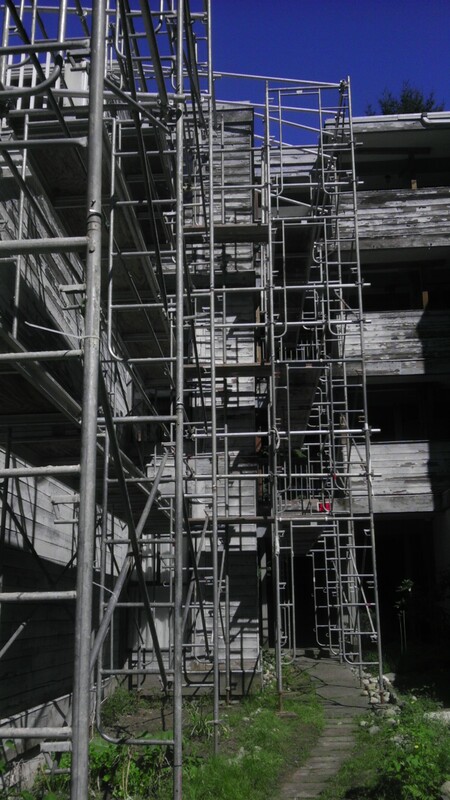 Scaffolding begins on BLOCK B and notice given by Heatherbrae that repair work on the walkways between BLOCKs A and B will begin Monday, June 13th! 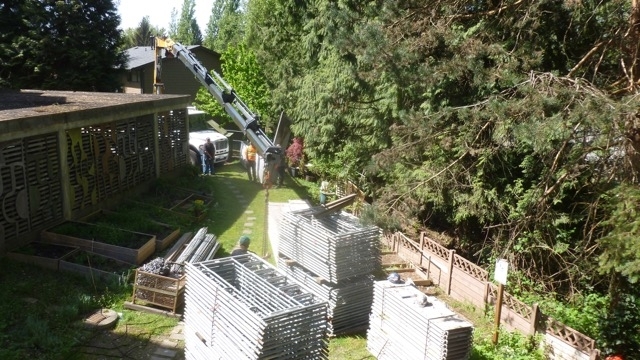 BLOCK A repair continues and more building supplies arrive. BLOCK B receives notice that unit windows will be inspected next week. BLOCK A rot repair continues, more building supplies arrive, and deck repairs begin. BLOCK B receives notice that scaffolding will begin soon. 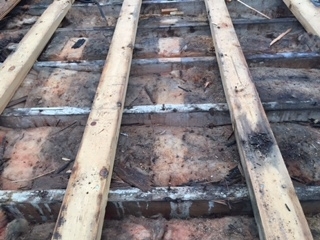 Plywood on BLOCK A removed, decks stripped or removed, incidents of rot identified and marked for repair, and building supplies start to arrive! JRS sign goes up. Siding on BLOCK A removed, plywood is being removed, and Heatherbrae and TAM signs go up! Wrapping on BLOCK A finished and electrical ready for workers. Wrapping begins and first steps installing electrical for workers (and we trim our trees!). 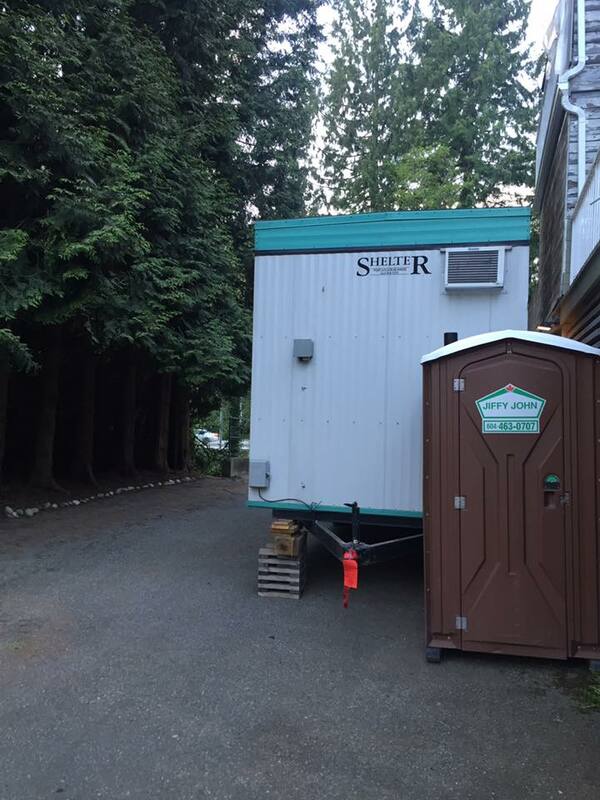 Heatherbrae office is set up. 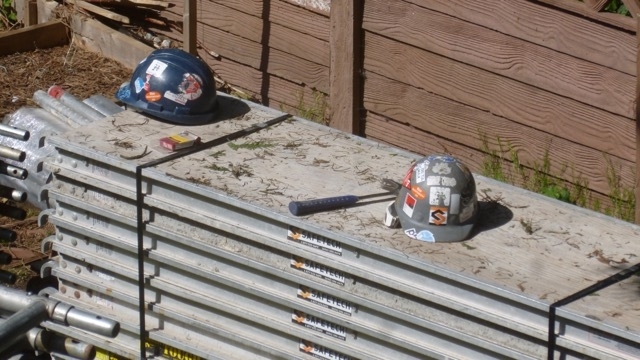 Our contractors, Heatherbrae, had their first meeting with us on site. We met the project manager and the site supervisor. Administrative details were discussed and finalized. Work will begin with BLOCK A. We have three blocks (A, B, C). 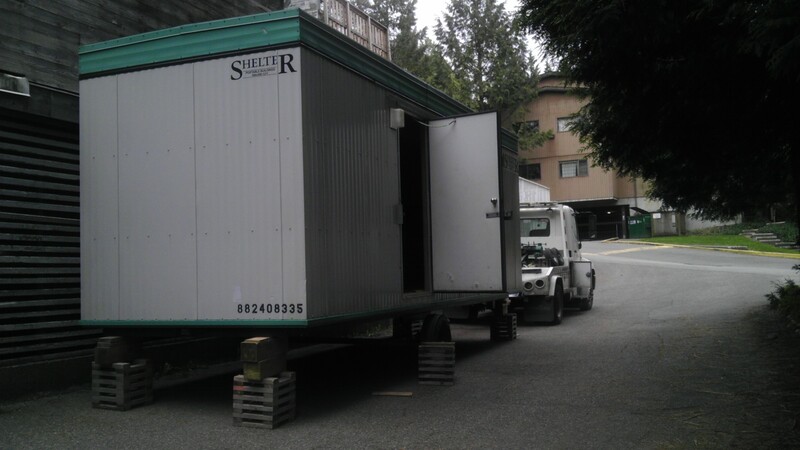 On Tuesday, April 12th they will be mobilizing their site trailer and bins and commencing installation of scaffolding (starting on BLOCK A), followed by BLOCK B and finally BLOCK C. Once scaffolding is installed, exterior finishes will be removed, followed by wood-framing repairs. Once this part of their work is completed, they will proceed with the replacement of windows, doors, balcony finishes, railings, cladding, etc. To member of BLOCKS B and C: Heatherbrae will be distributing notices to you when scaffolding installation is ready to commence on your buildings. BLOCK B is tentatively scheduled to start beginning of June 2016 and BLOCK C is tentatively scheduled to start beginning of July 2016. Starting on Tuesday, April 12th, we will be an active work site and everyone�s safety is very important. So, please remember to watch your children and animals during this time, to make sure they are not in harm�s way. Please do not play on, or climb on any scaffolding, or go near the working areas around the building. Everyone is glad to see the progress and the excitement is growing fast in our community! 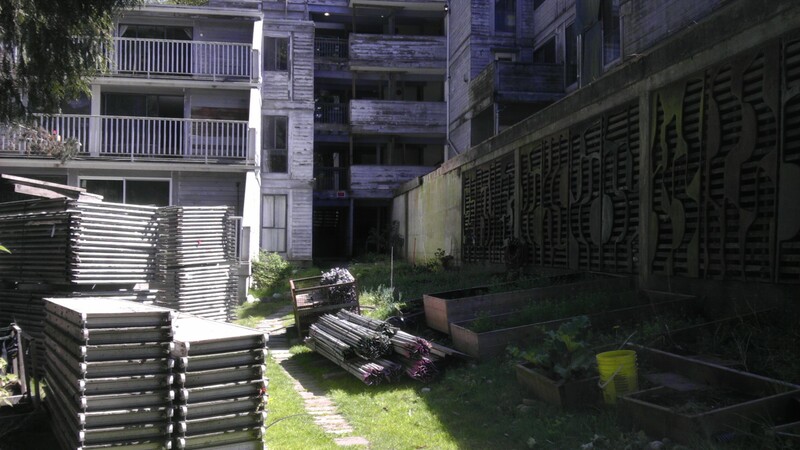 Here are some photos of our buildings before the remediation construction begins.